The most frustrating issue facing many online shoppers today is that they are never at home to receive their parcels which wont fit through their letterplate or into their postbox. Therefore, requiring a roundtrip to the local sorting office to queue to collect your latest purchase or, still having your goods delivered to your place of work! 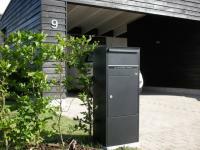 The designer led Parcel Dropbox is the solution that we have all been looking for. A large receptacle for all your mail, newspapers and medium packages. 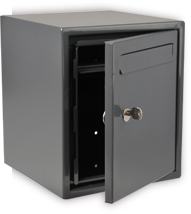 Secured within a galvanized steel box and concreted into the ground with a patented base plate (optional) and securely locked with a high secuirty 5 pin cylinder lock. 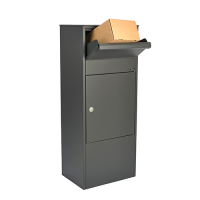 The Parcel Flap for deliveries is 115mm H x 300mm W x 300mm D. The intermediate shelf in the postbox can be removed to create space for unusually high volumes of mail, e.g. in connection with holidays. Our system allows more than one delivery a day, wheras the majority of similar products will only let you have one! 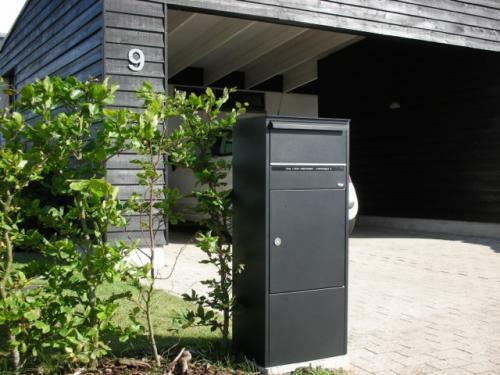 This product can then act as a mailbox, a newspaper box and a parcel box! Simply open the lid and place the parcel onto the internal shelf. when the lid is closed the parcel will actually drop down inside the box. If you again lift the lid you will see the parcel has gone and can't be accessed unless with the key to the door. What makes the Parcel Drop Box different? This parcel box accepts multiple deliveries. 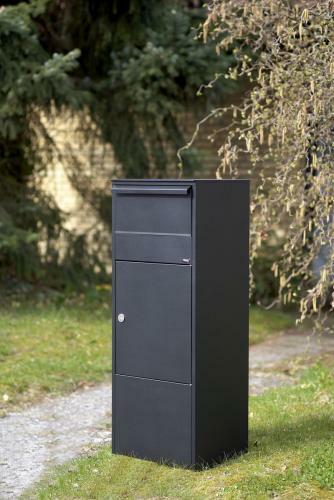 Most alternative parcel boxes have a simple locking arrangement that only allows for a single delivery, and they are not usable until the owner is home. Who needs the Parcel Drop Box? Online shoppers, eBay users, mail order catalogue users. In fact anybody that has home parcel deliveries and doesn't want to spend all day waiting for a home parcel delivery. 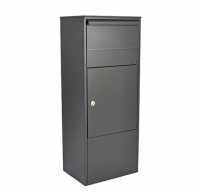 The Dropbox is made from galvanised steel and can be screwed to a wall or floor, or concreted into the ground with the optional base plate. This secure parcel box features a anti-theft device to prevent fishing and a secure five pin cylinder lock with 30,000 variations (differs). What size parcels does the Parcel Drop Box accept? Check the aperture size below. 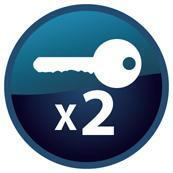 Security lock supplied with 2 security keys. 30.000 variations so you are sure nobody has the same key as yours! 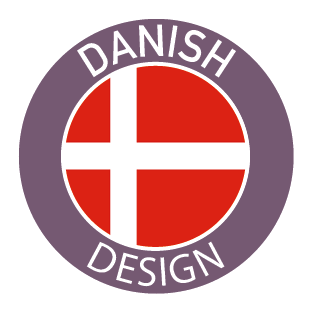 Like the look and quality of the product and good reviews. Easy website and straightforward ordering service. you had the size of the box we were looking for. So far, so good. Product was available. Easy transaction - hope delivery is as good! 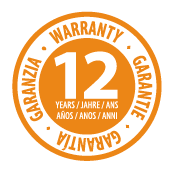 Design, Quality (12 year rust resistance on the steel) plus dimensions. It will fit neatly under my existing windowsill against the house wall. Good comments and size of box available. Box meets my needs and design and quality seem very good. Had what I wanted and good reviews. Quality and reviews looked good, the product was right for our needs. Very simple and easy to order and to negotiate the site. Specific product requirement. All good so far. 29-10-15: Clear website gave me all the information I needed. Good Reviews and a clear price with no added extras. 06-11-15: Immediately found the product I was looking for at a good price! 25-06-15: Great product range at good prices. 28-06-2015: Easy to use web site. Have not found this type of box any where else. Would be nice if they could be personalised with house name. 19-01-15: It sounds like just what we need! Very clear and easy to use website. 22-08-14: Device looks secure, allows for multiple deliveries and has large capacity (we are 2 boarding houses and students receive ALOT of mail and parcels!). Very easy to use website, thank you. I look forward to seeing the postboxes! 06-07-14: The product matched my need - I hope! Easy to use website compared to many. 27-06-14: Architect. This forms part of a new build house. 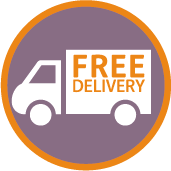 16-07-13: Just what we were after at the right price and free delivery as well. 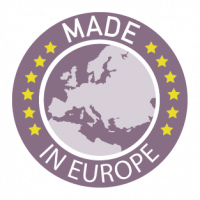 22-06-13: The website was clear, the products were good (and priced reasonably), and it was easy to purchase with the website. I hate having to register for OTHER sites before buying something. Excellent website! 08-05-13: You have the right product for my needs. Web site is clear and purchasing process simple. 22-01-13: Met specifications of item needed. Easy process of search meeting needs. 29-11-12: Product was not offered sensibly elsewhere, you had a nice 4 second video that explain the device/ anti tamper effect.